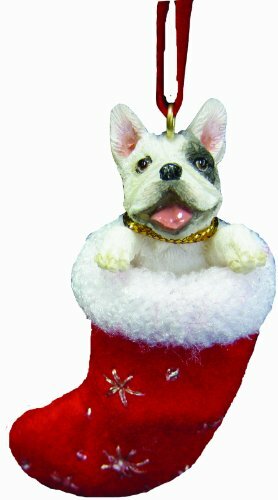 When it comes to animals on my tree, I adore (ADORE) French Bulldog Christmas ornaments. While I probably don’t have to make the confession at this point – French Bulldogs are my favorite four legged friend. Ever since I was given my first ornament a few years ago, I make it a habit to pick up at least a few new ones every year to add to my tree. 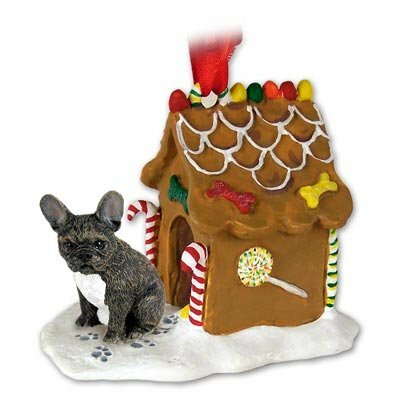 So depending on the ornament you grab, they can be used only around the holidays when the ornaments are pulled out and hung only on the tree or if you pick up some of the figurine French Bulldog decorations then they can be placed on a mantle between stocking, on a counter top, or on bedroom table to add a little doggie spice to an area. The thing that I love about these is the fact that they can easily fit into any type of theme that you are looking to use for decorating for Christmas. The versatility of these make them a must have for any French bulldog lover. As it turns out I have basically fallen in love with every ornament I have on display. I mean it is amazing how lifelike many of the depictions are. If it wasn’t for a few small marking differences they would look just like Daisy my last French Bulldog. I plan on getting most of the ones I found and see if I can find new places to decorate my home with these and give the home a real pet lover vibe. 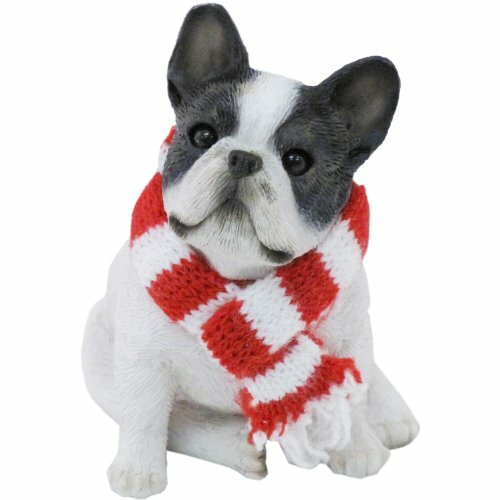 If I had to choose just one I would go right for the plump figurine with the classic red and white scarf. He just looks like such a happy doggie and he is ready for the chilly Christmas season. Granted it probably won’t drop below 60 degrees but a scarf is probably perfect for that weather. Still though, they are all just drop dead adorable. Which one is your favorite? Are you a French Bulldog lover like myself?